Colors Popular show Udaan is gaining popularity with every passing day and for Loyal viewers of the show we bring you spoilers of upcoming episode to be aired on 14th January. In upcoming we will see that Imli will decide to propose Raghav after coming back from jail and on the other hand Chakor will also realize her feelings for Raghav and would decide to tell him everything. 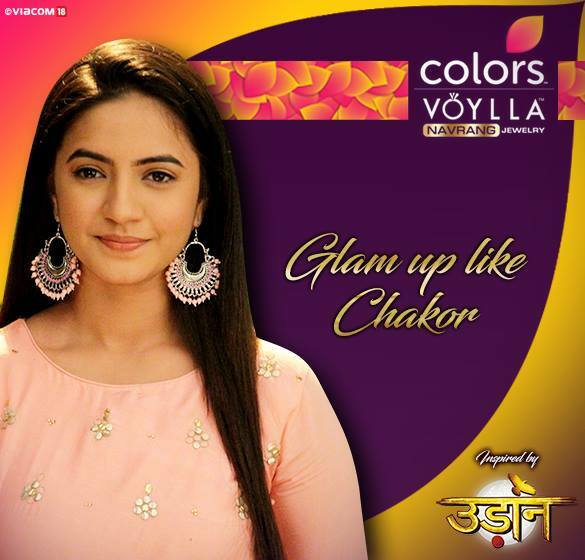 Imli will confess her love to Raghav, but he would instead break her heart by telling her that he loves Chakor. Imli will go to Chakor and inform her that Raghav has feelings for her and she will also ask her to confront him and tell that she doesn’t love him. #SpoilersAlert :- Samar and Nani convince Jaya and Richa that…..
#PollResult :- Barun Sobti emerged as the most wanted person for meet and greet. Spoilers Alert :- Krishna agrees to withdraw her complaint against Veer.. Spoiler Alerts :- Yeh Rishta Kya Kehlata Hai’s upcoming twists and turns..